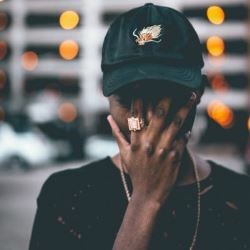 Artist & Producer STEEZIE based in Raleigh, NC is founder of music coalition SPARK THE DOPE who is dedicated to creating 'Dope Sounds Daily' to make a global and local impact on pop culture. Members such as DREAM RAYNE, ASTON MARTIN, and QUEL collaborate on multiple tracks on a 24 hour basis so as to further develop their craft. During recording sessions, many customers comment on the apparent natural exchange between the musicians and advanced knowledge in beat production. Positive feedback such as this is what keeps SPARK THE DOPE's name under an umbrella of what some would call 'diversity', 'flexibility', and most importantly, 'entrepreneurship'. Over time, the group plans to give back to communities by means beyond just phenomenal music.